I will be giving this presentation for the first time a Joule. 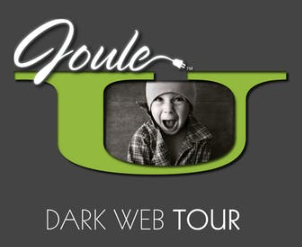 If you are curious about the Dark Web and would like to see what it is all about, sign up for this presentation here. What is the “Dark Web” really? Explore the Dark Web. Is it just an evil bazaar filled with scammers, criminals, drug dealers and weapons merchants? Or is there more? The Dark Web is not just for criminals. The Dark Web exists to provide a very high level of privacy and anonymity. The Dark Web is also used by journalists, political opposition groups, freedom fighters, espionage agents, and military forces. If luck is with us, we will fire up a Linux PC, open the TOR browser, and take a live tour of the more general interest parts of the Dark Web. Speaker Bob Weiss is a cybersecurity professional, penetration tester, web blogger, and cybersecurity awareness trainer. Computer security and hacking have been a passion of his since he entered the computer and networking business in 2000. In 2013 he completed a course of study and certification exam to become a Certified Ethical Hacker (CEH). In 2016 he was certified as a Certified Information Systems Security Professional (CISSP).